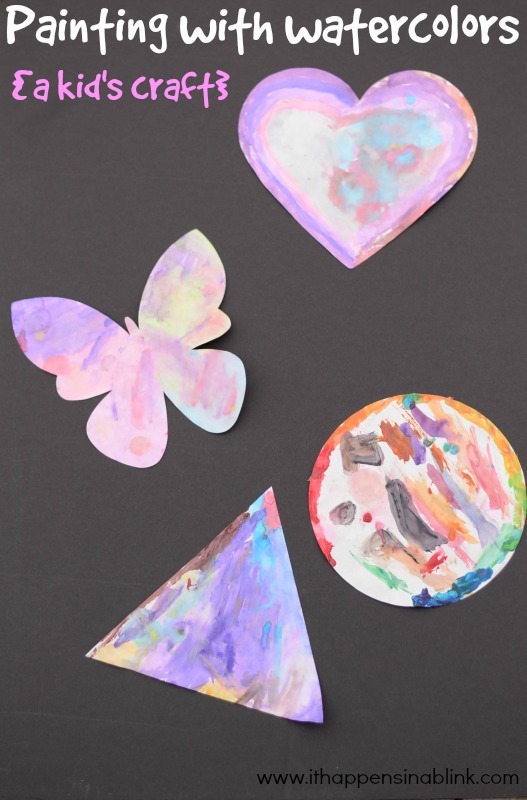 A few week’s ago I won a giveaway over at One Artsy Mama. She was giving away the new Master of the Arts kits made by the folks over at craftprojectideas.com. 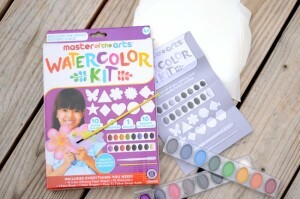 The Master of the Arts Watercolor Kit came just in time for spring break. My daughter had done watercolor painting before, but there had never been any rhyme or reason behind it. She typically just mixed all the colors together until the were black. 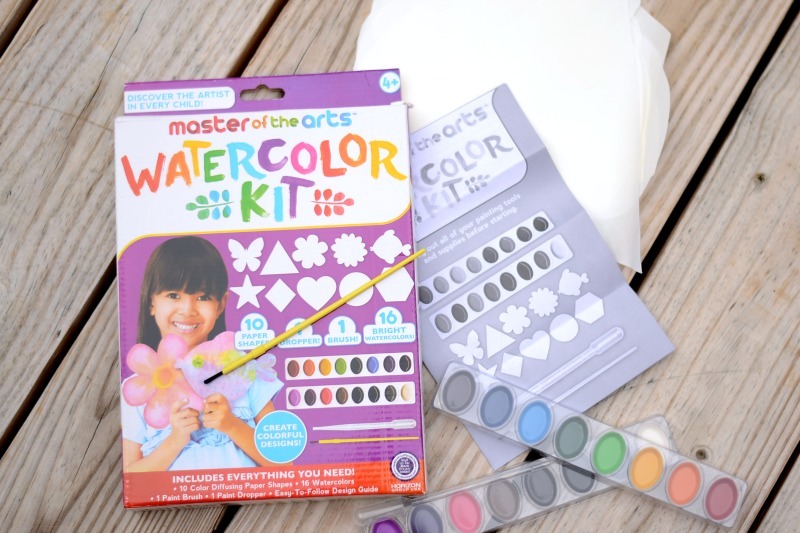 The kit came with everything that we needed to get started on painting with watercolors: paints, brushes, paper shapes, a water dropper, and a color guide on the back of the box. I made a painting station for her to be ready when she arrived home from school one day. She was excited when she walked through the door! She immediately threw down her lunchbox and asked to begin painting. Of course, the water dropper was a big hit. There was something about that water dropper. She wanted to drop water everywhere. I let her get it out of her system. This activity turned out to be a good conversation started about painting. I explained to her about the difference between watercolor and acrylic paints.. Then we looked at the paint chart on the back to chose a neat “color to make”. I think what surprised her most was that she had never thought of painting a plain “shape”. She always thinks it has to be an actual picture of something. For me, I’m just glad she decided to paint without turning all the colors to black. All the pictures above are ones that she painted. We’re definitely making progress here. I think a few more times, and she may just be a Master of the (Watercolor) Arts! I need to keep this in mind for summer vacation! Love this–but I love all things watercolor. PS–where have I been? I am in love love love with you new design! AWESOME!! Thank you! I like it, too!